Easy Homemade Chicken Noodle Soup Recipe, done in under 30 minutes, is a quick rainy day soup fix to comfort your soul! Did you know that I live in one of the rainiest cities in the country? Nope, not Seattle. I live in Mobile, Al and you would be surprised, but many cities in my state rank for some of the highest rain in the country. Being just off the Gulf Coast means tons of storms, clouds, humidity and rain on almost a daily basis. And unlike Hawaii, I don’t always consider it a blessing when I have things to do. That being said, rainy days also bring out the best in warm food, fuzzy slippers, and movies, so you can’t always knock those clouds. Rain makes you feel like its time to get out a movie, snuggle on the couch, and eat a big bowl of Homemade Chicken Noodle Soup! 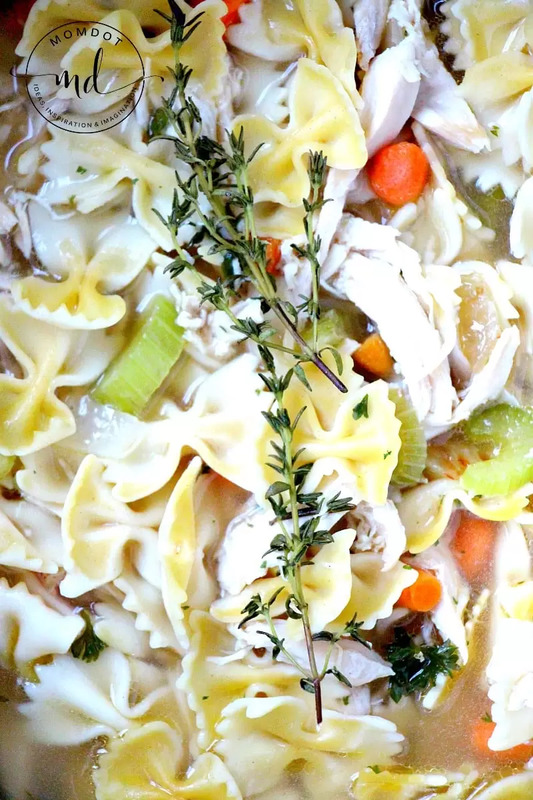 In fact, this easy homemade chicken soup recipe is just downright good for your spirit. Or if you have an instant pot or pressure cooker, you can try out this Instant Pot Chicken Noodle Soup recipe or Chicken Soup with Rice recipe instead! In a large pot over medium heat , add the cooking oil. Drop in the vegetables and saute for about 10 minutes, until tender. 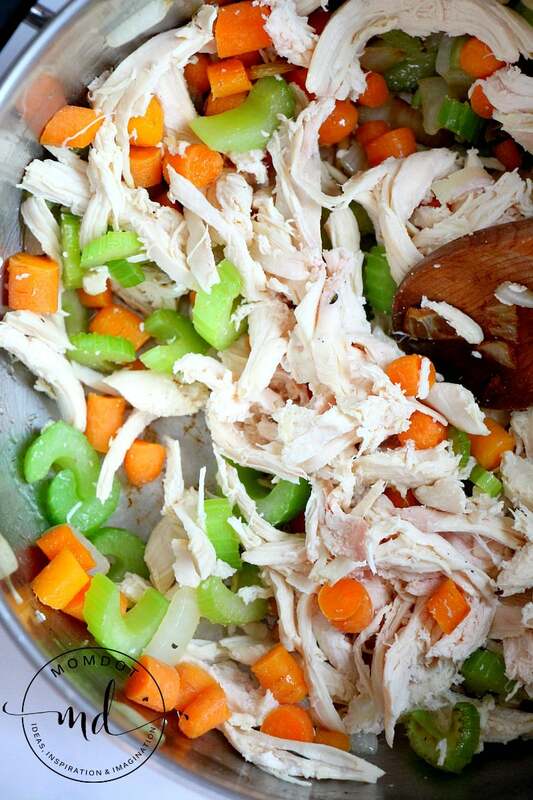 While the vegetables are cooking, start shredding the chicken in large chunks into the pot. Add the thyme, salt, pepper and parsley flakes. Pour in the chicken stock and water, stir. Cover and on a low boil, cook for 15 minutes. Optionally, if you want a thicker dish, pull a cup of the stock into a mixing bowl and whisk with McCormick chicken gravy mix and/or cornstarch. I happen to love using both for flavor and thickness. Pour the mixture into the pot, stir and let it simmer for 1-2 minutes until thickened. 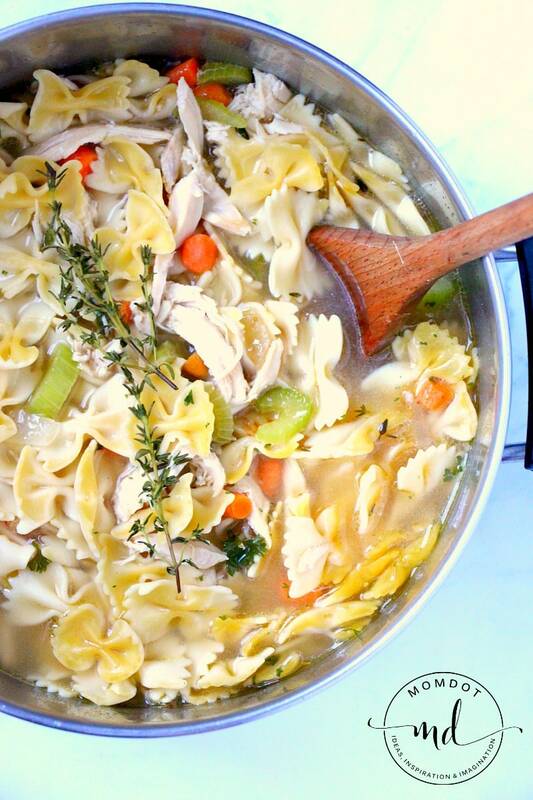 You may think that making chicken noodle soup from scratch will take you all day but its just not true! This 30 minute homemade soup recipe will not only hit the spot, but get you out of the kitchen in no time at all. Next time you have a big thunder storm out, whip up this rainy day quick chicken and noodles, put on you favorite flick, and enjoy! In a large pot over medium heat, add the cooking oil. 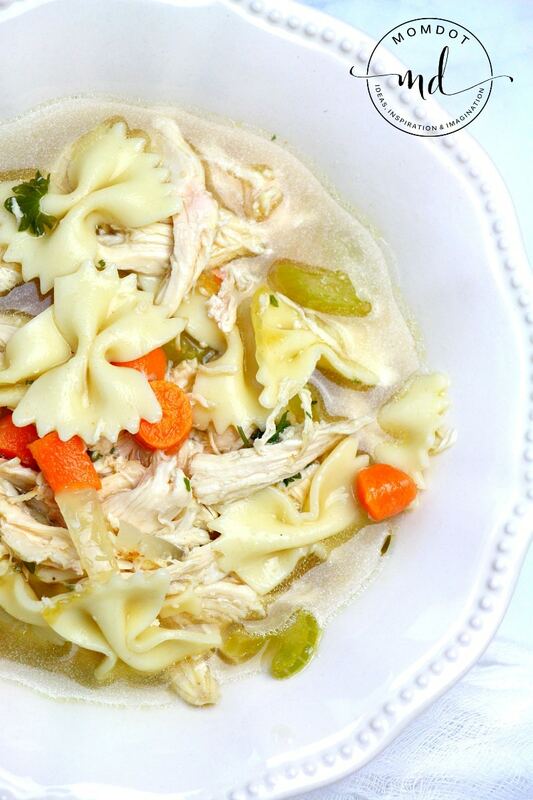 We have so much more when it comes to chicken recipes other than easy homemade chicken noodle soup. Check out some of these other great ideas to fill your monthly menu today!